Hillary is there, y’all. So are Bill and Barack. They’re all there because it’s the right thing to do. They are all at Donald Trump’s inauguration, but they don’t want to be there. It’s like when you were little and your mom used to make you go to church because she wasn’t going to have her church family talking bad about her because the rest of her family didn’t come. That’s how they look. According to US Weekly, the Clintons arrived at the Capitol around 10:21 a.m. EST. 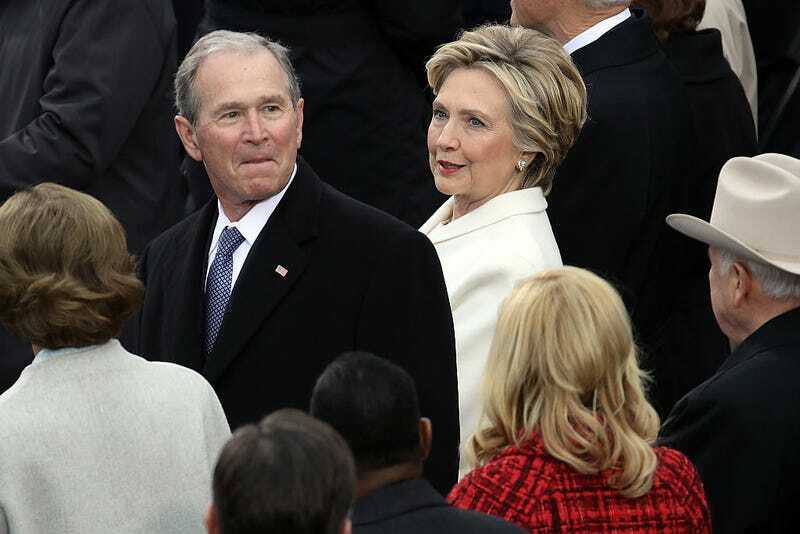 The 2016 Democratic presidential nominee, who battled president-elect Trump toe-to-toe during her run for the White House, wore an all-white suit to America’s funeral the inauguration. Hillary Clinton took to Twitter to explain her attendance on this day. Read more at US Weekly.